This painting is one of a series by Zai Kuang about children, often with toys. 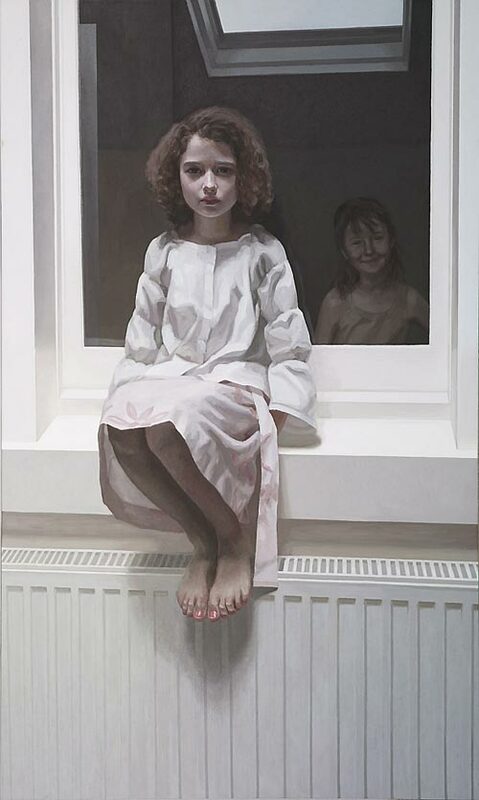 He was a finalist in last year’s Archibald Prize with a portrait of a girl with a doll. Born in China in 1962, Kuang has a Bachelor and a Master of Visual Art (Painting) from the Central Academy of Arts & Design in Beijing. He taught art at Beijing University for ten years before coming to Australia in 1998. Since completing a Master of Fine Art (Research) at Monash University in Melbourne in 2002, he has been painting full-time. He was a finalist in this year’s Albany Art Prize. In 2007 he won the Kingston Art Centre Prize and was Highly Commended in the Willoughby Art Prize. He was also a finalist in the Archibald Prize, the Doug Moran National Portrait Prize, and the Whyalla Art Prize. Previously, he has been a finalist in the R & M McGivern Art Prize, the Redland Art Awards and the Lexus Mortimore Art Prize. In 2003 he won best oil painting in the St Kevin’s Art Exhibition.